Welcome to our site! We pray our ministry will be a blessing to you. 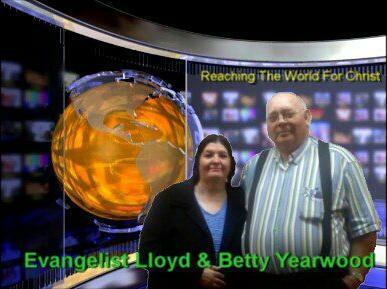 "RTWFC Bible Talk" is a 2 hour Bible discussion internet radio program hosted by Evangelist Lloyd Yearwood and several regular guest ministers of the Gospel on Tuesdays from 6:00 pm - 8:00 pm eastern time. If you want to call in and talk with us just call 310-742-1759 and you will be connected to our LIVE program. The call in number is only available during our program time it is not Evangelist Lloyd Yearwood's contact number it is only used for the RTWFC Bible Talk Show. If you want to contact Evangelist Lloyd Yearwood send him an e-mail at lloydyearwood@yahoo.com. If you don't want to talk on air but want to listen to us you can listen in on the program by visiting our page www.blogtalkradio.com/rtwfcbibletalk. Each episode we talk on a certain subject and sometimes we will stay on the subject for weeks before we change to a new subject. Our past and present programs are all available to listen to anytime. See our latest services in the video player below that was live streamed at the Street Services we had in Madisonville, Tennessee on September 27 & 28, 2013.
we have had in Chillicothe, Ohio / Bartow, Florida / Dalton, Georgia and many other places. We have services available for you to watch from our traveling. Go to the "Miracle Valley Prayer Line" page and post your prayer requests on the page the link to go there is below. The Miracle Valley Prayer Partners are standing by to pray over your needs and lift them up to God in prayer. to the Miracle Valley Prayer Line to see the prayer requests being added by people on your news feed page. I hope you found this encouraging! I sure did, sometimes we need the reminder of just "WHO" is really in control.